TSV had a great time in Austin at SXSW 2018! Between working on activations for top brands and walking around checking out other activations, we saw a lot during the week. We witnessed a car driving around in a giant bubble, there were celebrities sightings like Adrian Grenier AND we saw a ton of baby goats! Didn’t get to attend this year? Not to worry, we’ve put a list together of our favorite activation, product, daytime event, party and food! 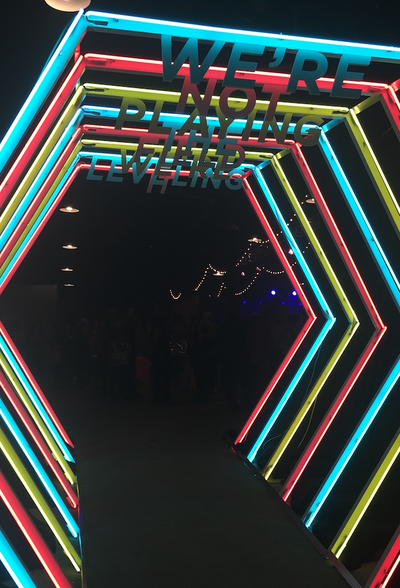 Steven Spielberg’s newest film Ready Player One hits theaters on March 29 and to build up anticipation, they hosted an activation and secret screening of the film at SX! Attendees were placed into the OASIS and were able to explore The Stacks where the characters live in the film. In each mobile home, attendees could participate in a VR experience to be completely transported to the world of Ready Player One! 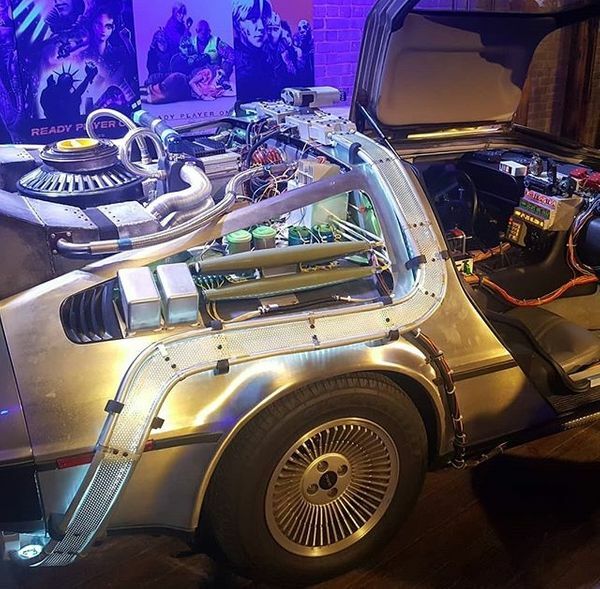 Along with all of the elements from the film, the activation featured well known 80s memorabilia such as a full replica of the DeLorean from the Back To The Future franchise. To top it all off, the cast made a surprise appearance along with Spielberg himself! Walking through an entire trade show can seem a bit overwhelming. However, there are some products that will stick out to you. For TSV, that product was BDX’s virtual reality system that can be used in the retail industry, the event industry and more! 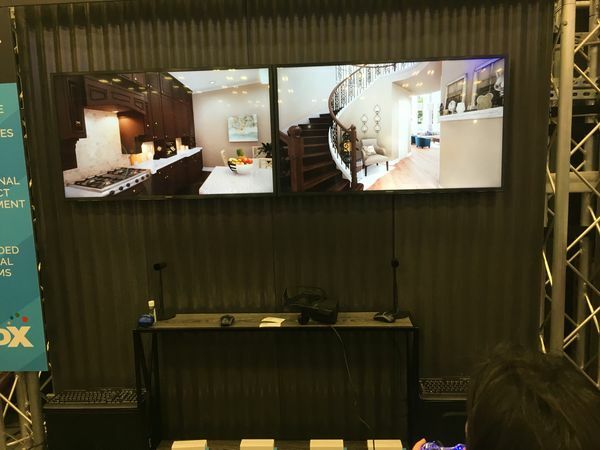 For the demo, users walked through a house to explore the home’s layout and make interior modifications such as wall color, cabinet color and flooring options! They could see a 360 degree view of each room in the house which allows buyers the ability to make the hard interior decisions that can feel overwhelming while also eliminating the need for model homes for real estate companies! We were also able to see how this system is used in the event industry. For event planners, wedding planners and event production companies, this can be beneficial. Everyone loves visuals and this takes visuals to another level, clients can see exactly how the rooms in their venue will look and if they don’t like it, they can change it right away. From an event production standpoint, being able to show our clients how a certain lighting display will look in one room versus another or how an LED Video Wall will look against a wall depending on its size, will help determine exactly what is needed for the event! Each day, tons of brands took over local bars, houses and restaurants for their events. 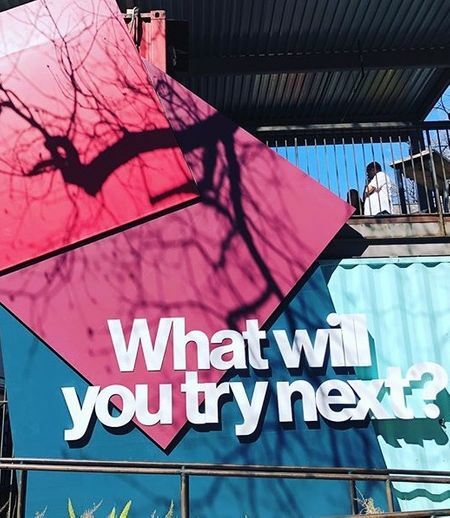 Pinterest turned Container Bar into the Pinterest House for an interactive day filled with multiple speakers, live music, free drinks and bagels! Attendees listened to entrepreneurs, creatives, marketing professionals and more talk about how technology is changing every industry and what needs to be done in order to keep up! 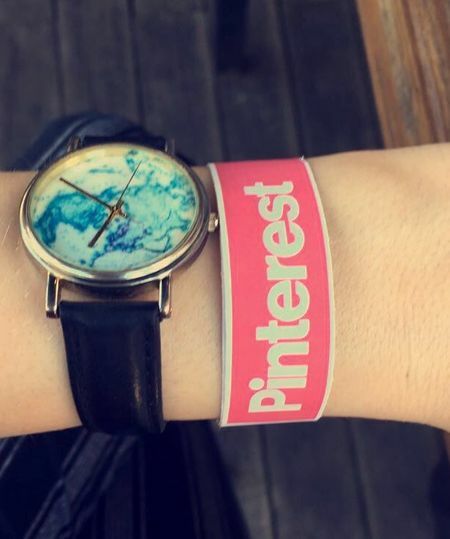 They were also able to use the Taste Tuner, a SXSW exclusive experience that let attendees see first hand how Pinterest works to help people and brands discover new ideas all around the world. This year a recurring theme we saw at a lot of events, such as Create and Cultivate and Girls’ Lounge, was women’s empowerment. Our favorite that we attended was by far Bumble’s Empowering Connections party! 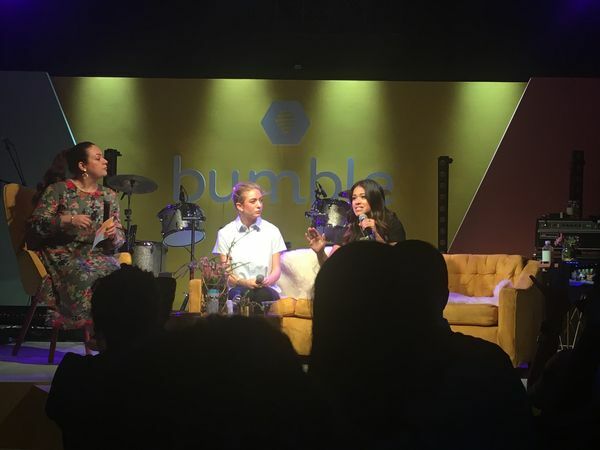 This was a two-day event at Fair Market that was put on to educate and empower women on how to be a successful Bumble, Bumble BFF or Bumble Bizz user. The two days featured speakers like Bumble founder and CEO Whitney Wolfe, singer Keke Palmer, actress Gina Rodriguez, psychotherapist Esther Perel, director Yoruba Richen, political commentator Sally Kohn and poet Cleo Wade. 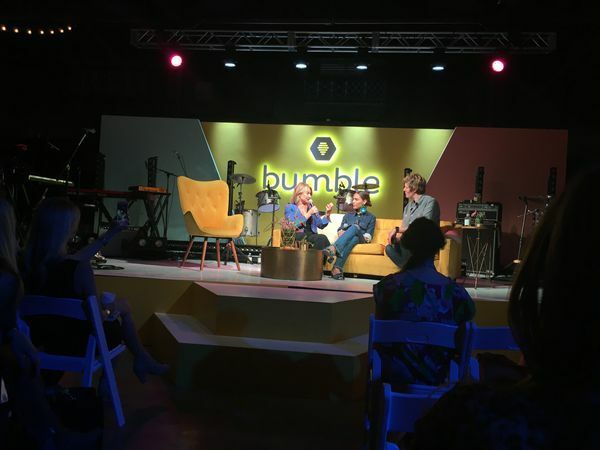 After walking in through the neon entrance, attendees were introduced to a space equipped with Bumble swag, Bumble crew ready to work with users to tweak their profiles on the app, a bar for drinks and socializing and a stage where panels and a live performance by pop rock band, Haim, took place! With the interesting speakers and captivating performance by Haim, the entire event brought together all different types of people in a unique way and was a lot of fun! Restaurant: Bakery/beer garden, Easy Tiger, had the coolest atmosphere and some of the best food we ate during our time at SX. Like any beer garden, they served bratwurst and soft pretzels that were both delicious and a cucumber tomato salad that we couldn’t get enough of! If you’ve never been, we highly recommend this Downtown Austin favorite and we can’t wait to go back! Food Truck: With all the food trucks scattered around Austin during SX, it’s hard to separate the good from the bad! However, just outside the Convention Center was a hidden gem that we weren’t expecting! Bohemian Barbecue’s food truck served amazing brisket cheeseburgers that gave us the energy to keep networking at the trade show and kept us wanting more! We hope we gave you a look into SXSW 2018! It was a lot of fun and we can’t wait for next year!